Talk about counting chickens before they hatch! But that is exactly what you need to do in order to successfully learn how to hatch chicken eggs from your very own backyard chickens. Poultry has been one of the primary sources of food and income since ancient times. The art of hatching chicken eggs has steadily increased in finesse and standards. I call this ‘art’ because hatching chicken eggs isn’t child’s play and manual methods are often unsuccessful. One of the best developments to hit the market in this regard is the advent of advanced devices for incubating chicken eggs. 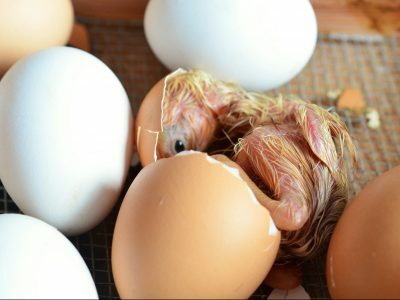 There are all sorts of chicken incubators on the market now, as well as plans available for building your own homemade incubator. They come in a wide range of sizes and prices with various features. So, the first step will be for you to research the different types available. Which you can do through my article on here about chicken incubators. Then purchase or build the best type to suit your needs. Incubating chicken eggs requires great care and attention. Modern chicken incubators can remove the manual aspect of the process, effectively eliminating human error from hatching chicken eggs. These chicken incubators maintain proper temperatures, which is absolutely essential to ensure that your eggs have a high hatch rate. Simply put – an incubator is exactly what you need for a profitable backyard chicken experience. Don’t believe you need them? 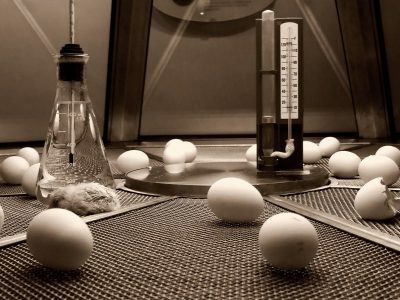 Hatching chicken eggs requires constant temperatures that hover between 99.5 degrees to 103 degrees. The eggs need to be ‘turned’ at regular intervals daily and proper humidity and moisture are of absolute essence. So now that you are convinced that we do need chicken incubators, let’s understand the proper way for incubating chicken eggs using them. The first important consideration to be kept in mind when incubating chicken eggs is that chicken incubators should be warmed up ‘before’ you put the eggs inside. Because, the temperatures mentioned above should already be present. If not, then the eggs will most probably turn out to be infertile. Turning is another important aspect of hatching chicken eggs that should not be taken lightly. Turning refers to gently replacing the top side of the egg with the bottom side. And this should be done at least three times a day. This can be done manually by marking the side of eggs with X’s and 0’s in pencil. But recent developments have produced chicken incubators that are able to automatically turn the eggs at predefined intervals. 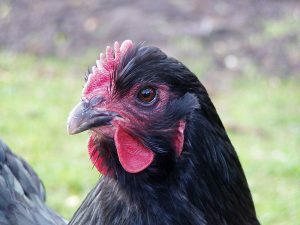 If all necessary steps and procedures are followed, then eggs should hatch in about twenty one days after the hen has laid them. If not, then probably there’s something wrong with the methods you employed. So, those should be rectified for future endeavors. Ever noticed the small air bubble that forms towards the larger end of the egg? If not, then let me state that ensuring its survival while hatching chicken eggs is equivalent to ensuring the survival of the chicken. This bubble is very flexible and volatile and helps in proper distribution of pressure throughout the shell caused by changes in temperature and other external factors. The ‘health’ of this bubble is dependent on the humidity in the surrounding air. So it’s obvious that it’s necessary to maintain proper humidity and heat levels when incubating chicken eggs. Increased humidity may result in the chick ‘drowning’ within the fluids as it nears the end of incubation. And, decreased levels may exhaust the chick as it tries to break the shell. Problems that may still occur when hatching chicken eggs depend on various factors. The eggs should be placed at sufficiently spaced intervals from each other within the chicken incubators. Otherwise, as a chick is hatching it may destroy another egg with its claw or beak as it emerges from its own shell. 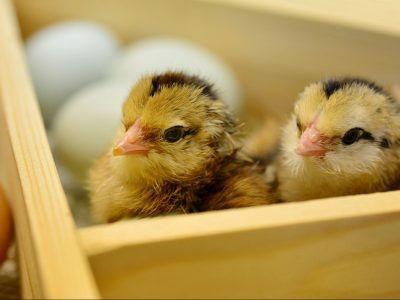 If chicks hatch later than the stipulated time and then die within a day or so, then incorrect temperature while incubating chicken eggs is most likely to be the cause. As weak chickens are a direct result of not using the optimal heat levels during the incubating process. When hatching chicken eggs, one way to make sure that our efforts are focused only on those eggs that will be fertile is to ‘candle’ them. Candling refers to viewing the eggs under a concentrated source of light. You can cut a hole in a box that is slightly smaller in size than the egg and place it over a bulb. Then place the egg over the hole and look for a dark mass within the shell. This mass is the growing embryo and means that the egg is fertile. However if light comes clean through, then the egg is probably good for nothing and should be removed from the incubator. Another way to candle your eggs, is to purchase a special light made just for candling. You can purchase one by CLICKING HERE. Candling your eggs needs to happen at regular intervals. This is to ensure that chicks which die out midway through the process are quickly removed before turning rotten. As you certainly don’t want any rotten eggs contaminating the rest of your incubating eggs. 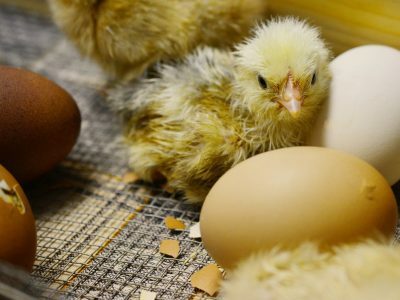 These are some of the most important factors of hatching chicken eggs that should be taken into account for successfully incubating chicken eggs. And if all the steps and tips mentioned above are followed to the letter, then there’s no doubt that your own backyard will be full of chirps and tweets in no time. Or, you may even just find your way to a profitable business of selling all those extra chicks to the public!